Last week was another busy one though I felt that I didn't actually do much by way of art projects. Good weather provided the opportunity to try and catch-up on garden tasks and jobs. Oh the joy of sunny, dry weather. I really missed spending time on painting and art journaling but as I look back now I realise that I did more that I actually thought! Above is a detail from a journal spread for the Document Life Project. I'm weeks behind but I'm sure I'll catch-up over the next few weeks. 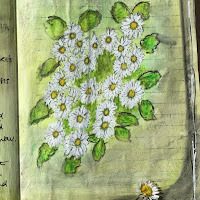 I started my Garden Art Journal - I altered the journal by gluing pages together so that they would stand up to mixed media and applied a light coat of gesso - I still wanted some of the lines to show through. 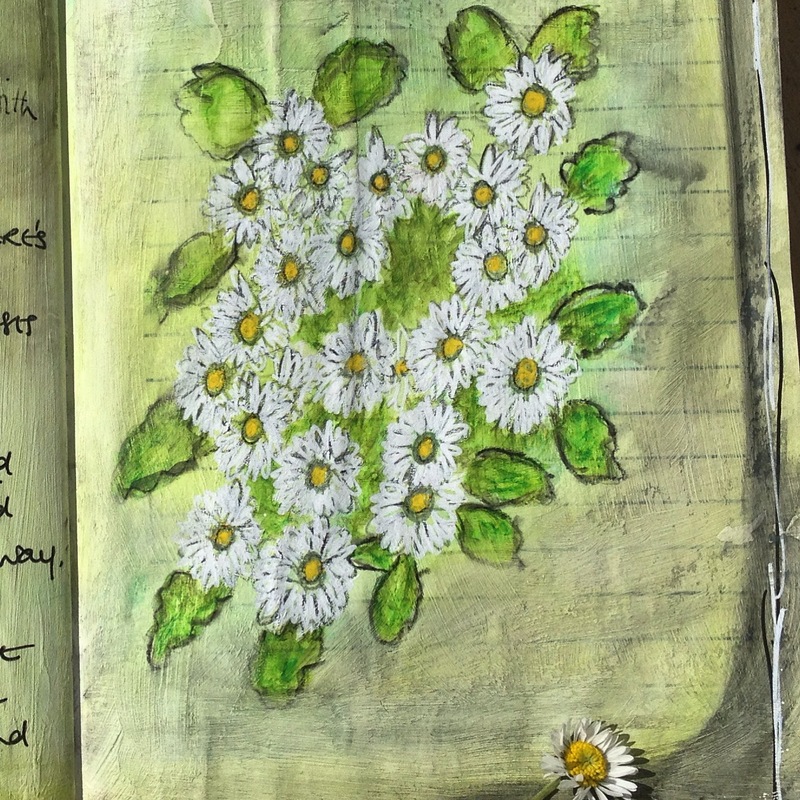 My first page was inspired by daisies growing in the grass - this is a detail from it. 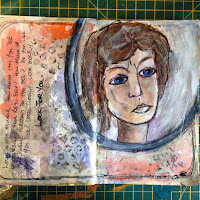 I also completed this page which was inspired by the Lisa Cheney workshop The Savage Mirror from 21 Secrets available from Dirty Footprints Studio. So all in all I feel that I got more done than I had thought. This morning, I took a trip to our local town and visited a few charity shops and a bric-a-brac shop to see if I could pick up some old books and other items that I could use. 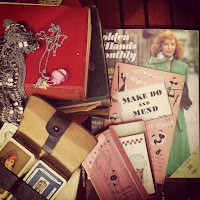 Quite pleased with my little haul. It includes an old dictionary given by a teacher to a school and the inscription is dated 1948. 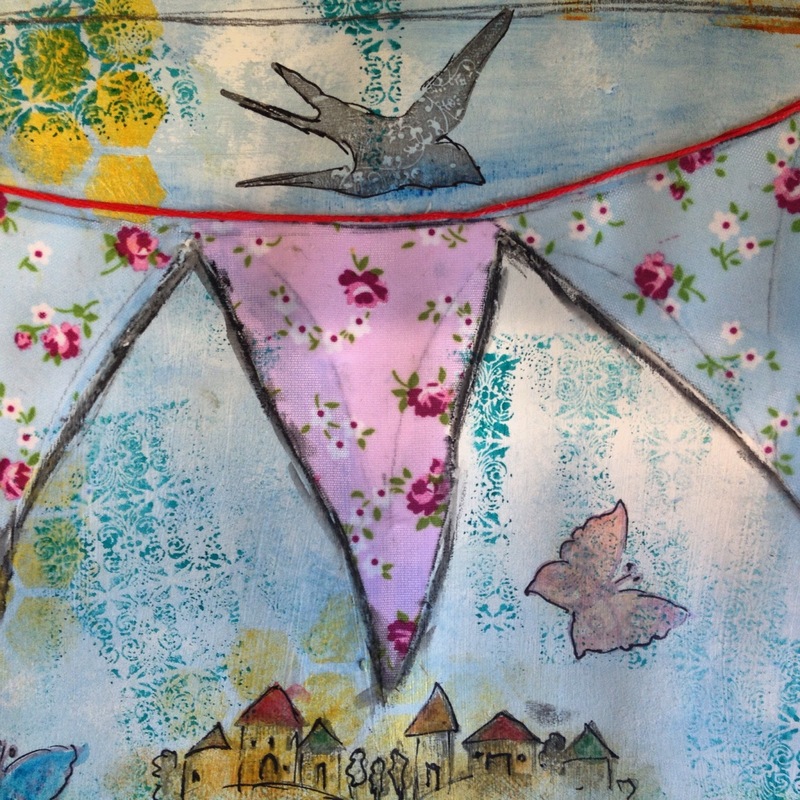 It will be a great to use the pages in mixed media art but I'm actually quite loathe to pull it apart. I need to get over that!